Here are four Northwest farm stays that are sure to deepen the roots of your children’s agricultural curiosity. For even more, check out farmstayus.com, a nonprofit project that connects travelers with the farms and ranches that love to host them. Digs and rates: The turn-of-the-century cottage is all yours and sleeps six comfortably in three bedrooms. In the modern, fully stocked kitchen you’ll find a dozen eggs and homemade jam in the fridge to get started on a farm-fresh breakfast. A spacious mudroom helps keep messes manageable (and stores a variety of rubber boots in kids’ sizes). In summer, take advantage of the outdoor patio and picnic table with a view of craggy Cascade peaks. The cottage has kid-friendly extras like a crib, outlet protectors, Disney DVDs and a huge basket of farm-themed books and toys. $175 per night, April through mid-September (for up to six people); $150 per night, mid-September through March. If you’ve ever driven to Port Townsend you’ve passed Solstice Farm, set in the postcard-perfect Beaver Valley just south of tiny Chimacum on the Quimper Peninsula. The close-knit agricultural community is a locavore’s dream, with three weekly farmers markets, a handful of craft cideries, cheese-makers and several organic farms, Solstice among them. These 33 acres of pastoral beauty are the pride and joy of farmers Jim Rueff and Linda Davis, who began grazing sheep and other livestock in 2002 and added a sunny, modern farmhouse bed-and-breakfast to the property eight years ago. With the help of local farm interns they raise several dozen market lambs each year, plus pigs and free-range hens. They also plant a sprawling flower and vegetable garden, and tend to a young apple orchard. 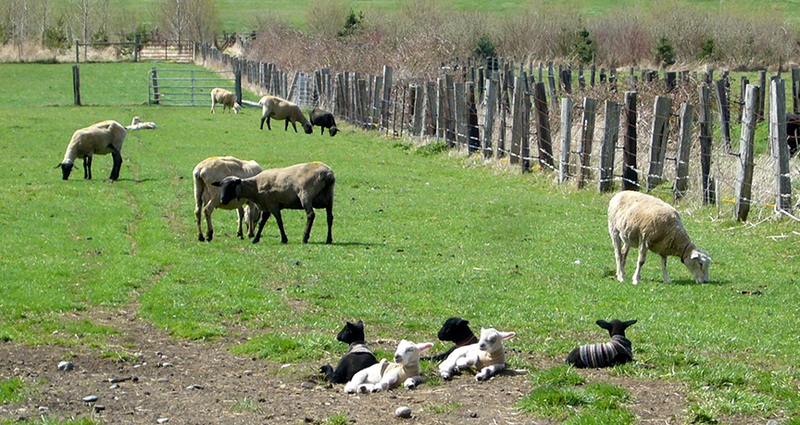 Fun farm chores: Help bottle-feed adorable lambs, feed the sheep and help herd them to pasture, and gather eggs from the free-range hens. There’s always work to do in the veggie garden that’s particularly well suited to tiny hands, from planting seeds and thinning starts to digging potatoes and carrots. Digs and rates: The farmhouse has two guest suites with baths, and the downstairs room is best suited for families with children 10 and younger. Common areas in the house include a large atrium with 20-foot-high windows, the perfect spot to watch the sun set over pasture. A farm-fresh breakfast is included, with homemade fare like omelets (made with eggs from the hens, of course), iron-skillet Dutch baby pancakes with seasonal berries, citrus scones and even lamb sausage. $120 per night for a family of four. This 17-acre homestead sits on cleared meadow and pasture just off the Mountain Loop Highway west of Verlot, encircled by foothills of fir forest that frame a glorious view of Mount Pilchuck. A herd of 20 charming and quirky Huacaya alpacas dots the hillside. These long-necked, doe-eyed beauties grow fine, dense fleece coats all year long in preparation for shearing, a popular event open to the public in late June each year. The quality hypoallergenic fiber (which comes in many rich tones like chocolate, chestnut and ivory, and doesn’t require intensive dyes) gets handspun into limited-edition Pendleton wool blankets and fashionable wares like hats and socks that are sold on-site at the ranch store. Begin your visit with a guided tour; Paca Pride co-owner David Capocci shares his enthusiasm for the sustainable alpaca ranch, particularly the design principles of permaculture, a sustainable agriculture model that centers on working with nature rather than against it. You’ll learn about their rotational grazing system that reduces the impact on the meadows, and how they grow bright, grassy barley fodder micro greens to sustain the alpaca herd all winter long. Fun farm chores: Alpacas are calm, gentle animals, and children will love hand-feeding them and giving them chin scratches and soft hugs. Help move the herd from one meadow to another. Listen for the musical humming sounds alpacas make when they feel content. 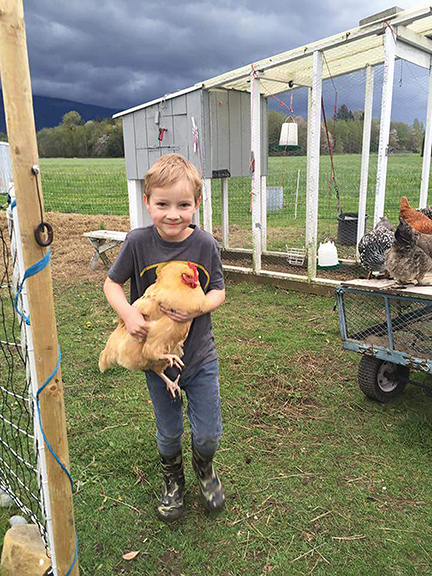 Kids can also collect eggs from the ranch’s free-range chickens. Leave some time for hiking — you’re a stone’s throw from trailheads including Gold Pond (an interpretive trail good for small kids) and Heather Lake (a bit of a climb more suitable for older kids). Digs and rates: The cozy Mountain View Guest Yurt is fully furnished (sleeps four with queen bed plus futon, linens, heat and electricity) for a fun family glamping adventure ($79 per night). For larger families, the huge Roundhouse Yurt checks in at 730 square feet, though sleeping accommodations are more rustic on cots and air mattresses ($99 per night for four, $20 per additional person). Bathrooms with heated showers are a short stroll away. Bring your own food, pots, pans and towels. Spend a few days with Scottie and Greg Jones on their bucolic Oregon farmstead — about 5.5 hours south of Seattle — and your food-ambivalent kids will be mini-locavores by the end of your trip. The Jones’ passion for organic, sustainable farming and pasture-to-plate food is contagious. First homesteaded by pioneers in 1862, the farm sits in an often-misty corner of the Willamette Valley that meets Coast Range foothills in a confluence of bright green beauty. On this picturesque landscape graze fluffy sheep (the Katahdin lambs are sold in shares to local families), turkeys, chickens, horses, goats, a peacock and, of course, farm dogs and cats. Leaping Lamb grows its own hay for the livestock and also tends to an orchard of blueberries, raspberries, apples, plums, grapes and more. 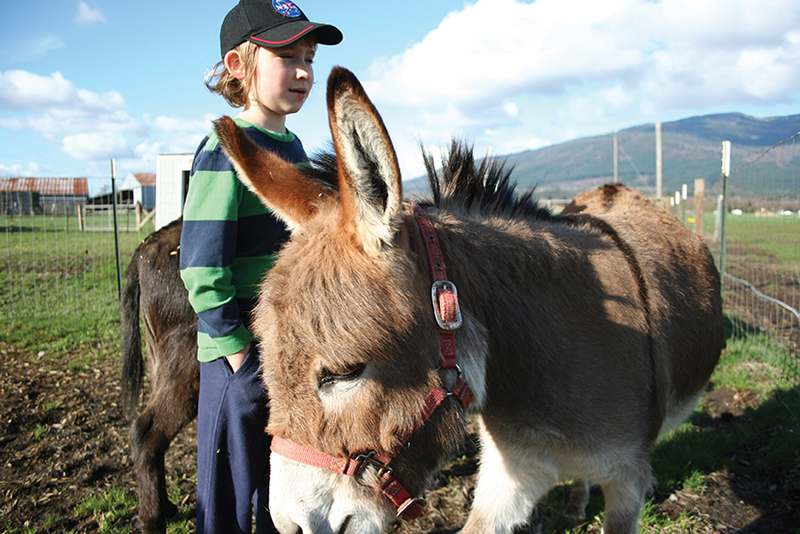 Fun farm chores: Kids can assist with a wide variety of farm chores, from gathering eggs each morning and bottle-feeding the lambs to brushing a miniature donkey and harvesting veggies from the garden. In late summer and autumn there’s ripe fruit to pick, jam to put into jars and cider to press. In between corralling sheep, feeding scraps to the chickens, playing follow-the-leader with the peacock and petting the farm cats (as important a job as any), there’s bocce ball and croquet on the lawn. Digs and rates: The cute farm cottage has two bedrooms with queen beds and sleeps six. Cook meals in the full kitchen equipped with basic condiments and all the cooking supplies you’ll need. There’s also a dining area and full living room. On chilly evenings, cozy up with Pendleton blankets on the spacious porch and enjoy the gentle gurgling of Honey Grove Creek. The farm-fresh fixings to make breakfast in your kitchen are included. $250 per night mid-March through October and on holidays, $175 per night November through mid-March. Kelsey Creek Farm (Bellevue): A bit of wild in the city, this scenic working farm has pastures full of sheep, goats, pigs, chickens, rabbits and ducks. It’s free to enter and view the cute barnyard animals, but for hands-on learning, you’ll want to take a kids’ farm class or reserve a guided tour. 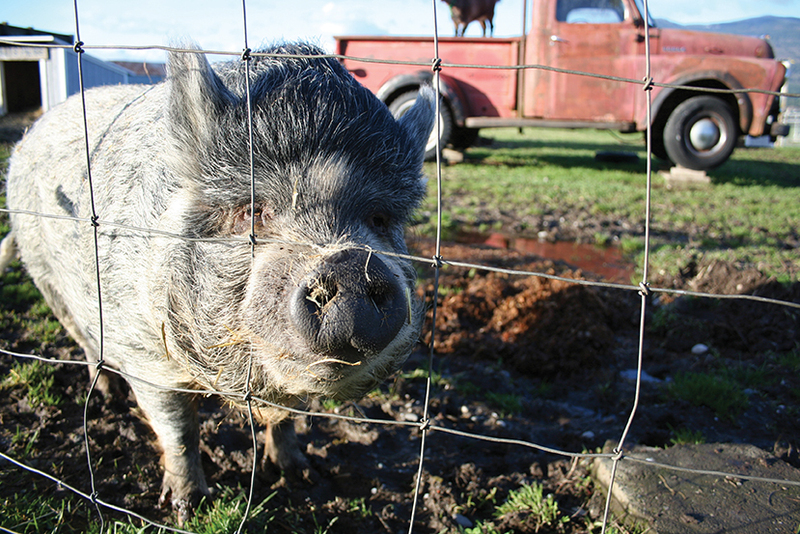 21 Acres (Woodinville): This nonprofit farm focused on sustainable farming practices hosts field trips, farm tours, demo classes and farm camps for kids. The “classroom” is acres of pasture with livestock and vegetable gardens that yield goodies destined for local farmers markets (and its own on-site farm store). Seattle Farm School (Seattle): Got a yearning for backyard chickens, but don’t know where to start? Want to build some raised beds, or can jam and pickles? 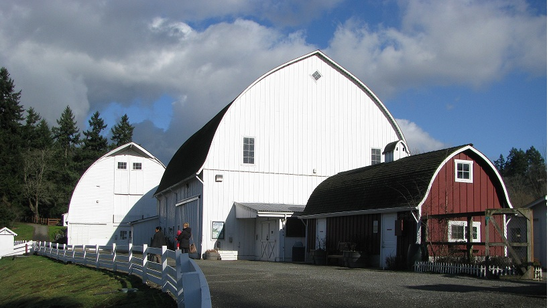 Seattle Farm School hosts family-friendly workshops year-round at various locations in West Seattle. Mystery Bay Farm (Marrowstone Island): Yogurt, ricotta and chèvre — oh my! This family of small-scale artisan cheesemakers leads kid-friendly tours showing how their fine cheeses are made — including cute goats being milked. You’ll see how sustainable cheese is crafted start to finish.